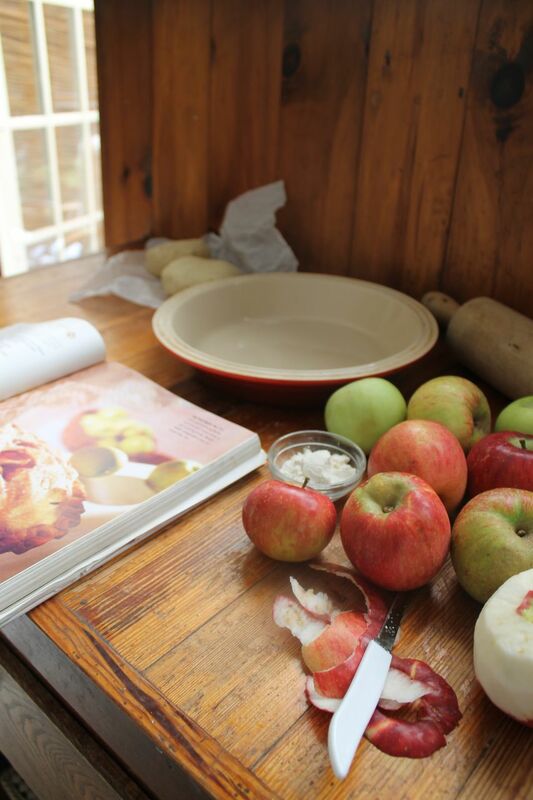 The other day I decided it was time to use up the last few pounds of apples from our picking adventure a few weeks ago – wasting food is such a crime in my eyes – so what to do? Make pie! I’ve made pies before, but I’ve never made apple – odd, I know. I thought I’d make one pie to eat right away, and one to freeze. 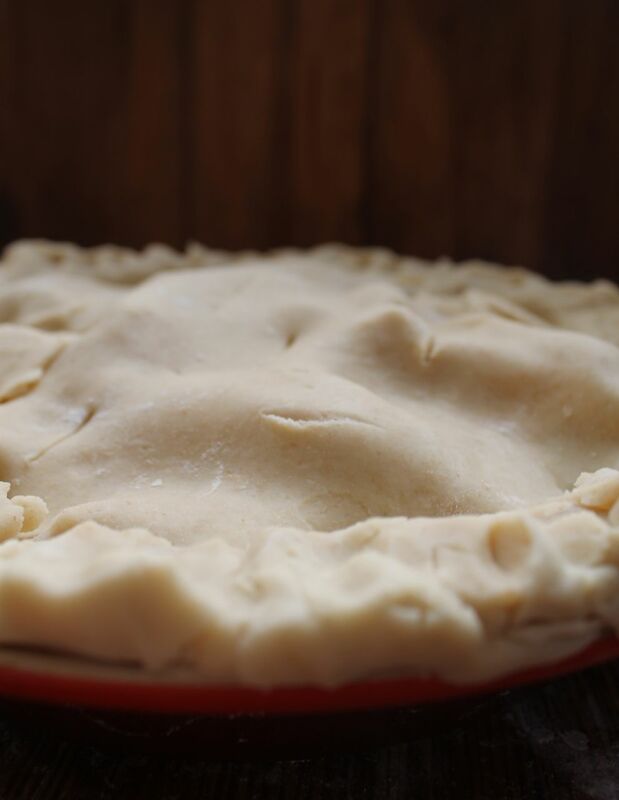 We’ll see how the frozen one works out when my friend visits in a few weeks…I’ve realized, apple pie is pretty easy, once you’ve made the crust and peeled the apples…ha ha, I know, but it’s true. I don’t use a pastry blender/knife or two knives, I just use my fingers. I realize this may bother other pastry bakers, as your not supposed to ‘handle’ the dough a lot – but it works for me. I like the outcome, as does Michael and Finn. So why not try? Want a simple recipe? See here. 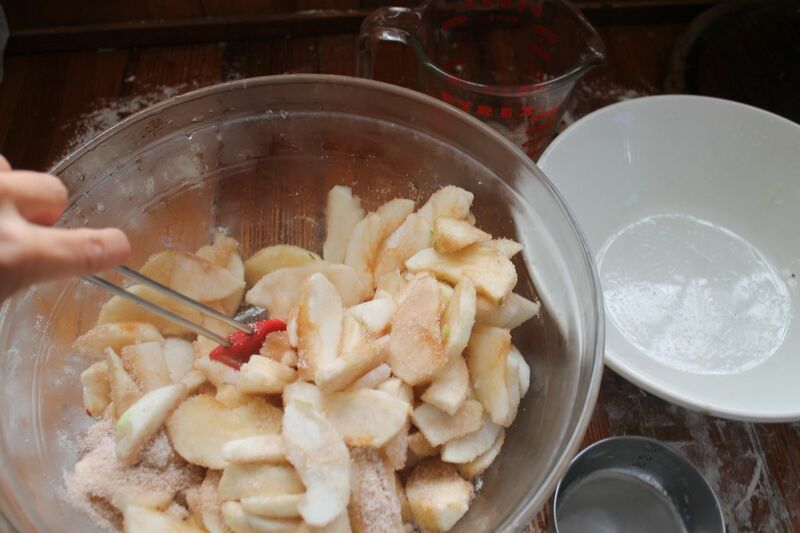 apples, cinnamon, sugar, nutmeg, flour, lemon juice and crusts. If your crusts are frozen, be sure to thaw them the day before in the fridge. When stored in fridge, take out a few hours ahead of time to allow to soften – but not too much. 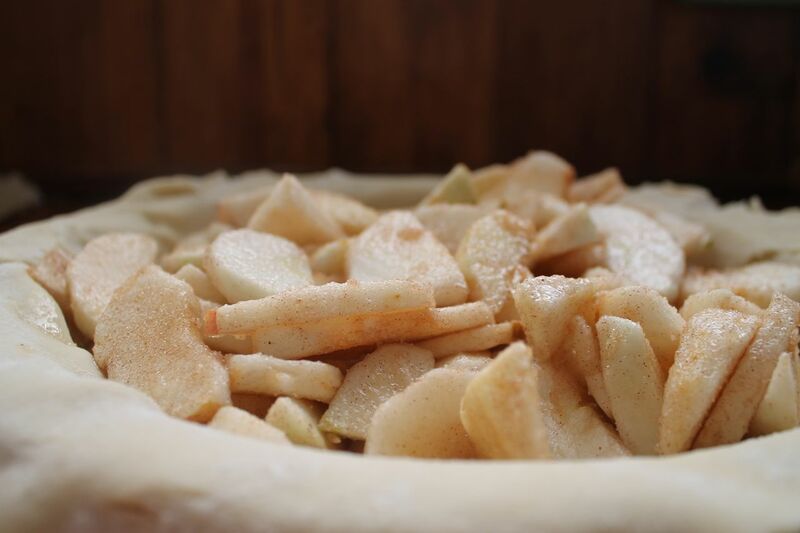 Length of time depends on your climate…Roll (both crusts), peel (apples), mix (spices and apples), top (with second crust), bake. Pie is ready. 6 cups thinly sliced, peeled pie apples (I used cortland and macintosh) = roughly about 2.5 lbs. 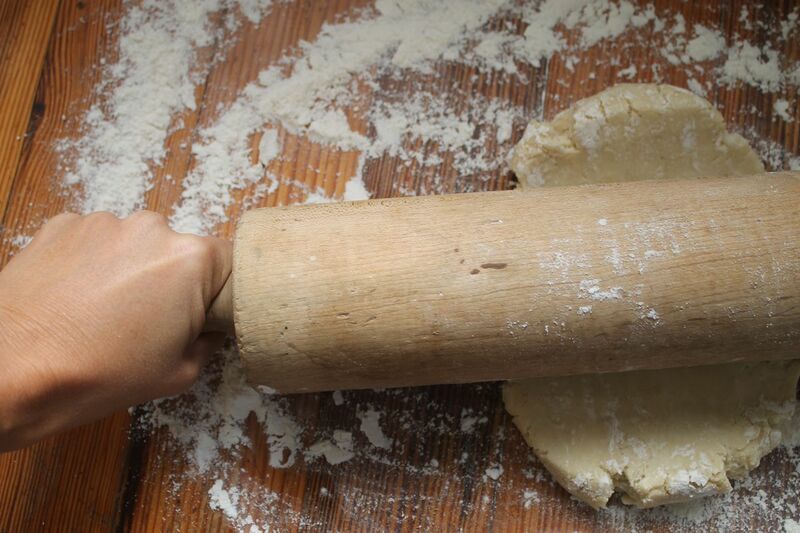 Prepare and roll pastry. 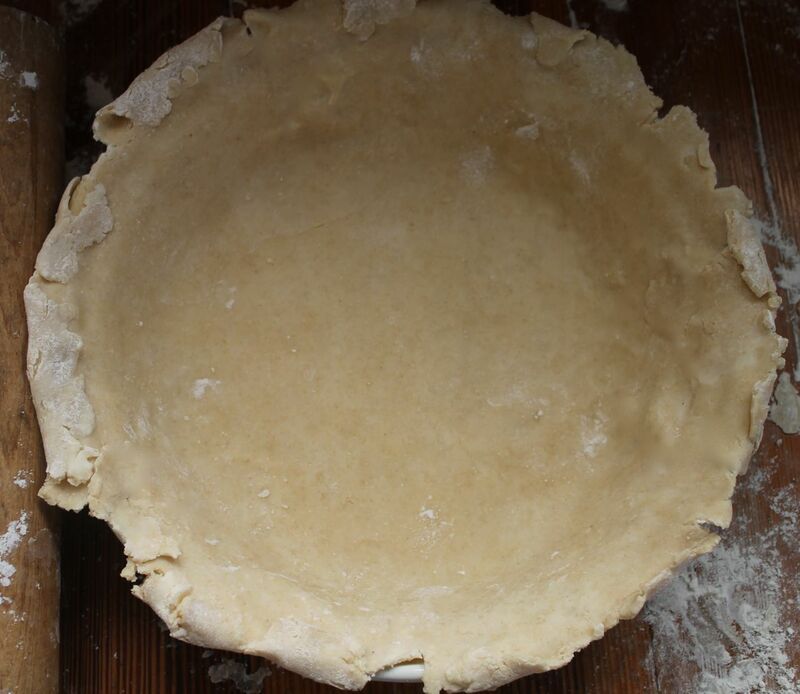 Line a 9″ pie plate with one pastry (crust). Set the other aside. 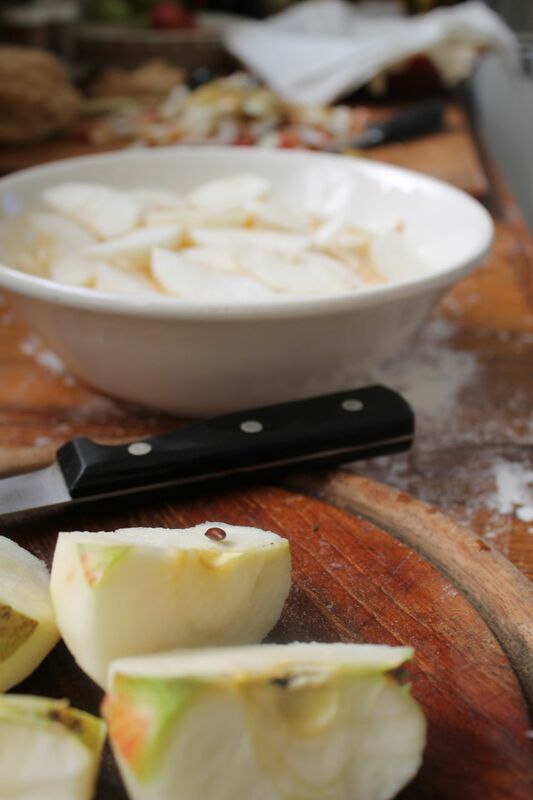 Slice apples (help with this task really speeds up the process – or an apple peeler/corer). Place in large bowl. Sprinkle apples with lemon juice, toss. Mix together sugar, flour, cinnamon and nutmeg. Pour over apples. Toss and coat. 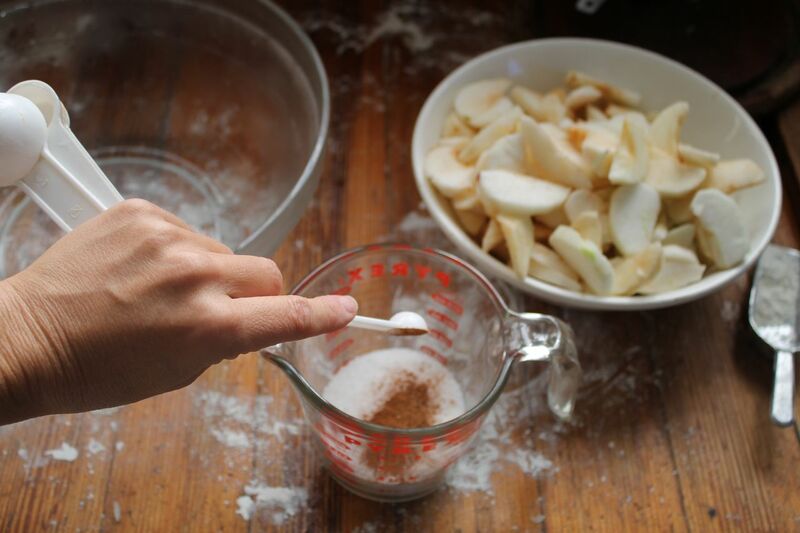 Transfer apple mixture to the pastry-lined pie plate. Cut slits in remaining pastry; place over apple filling and seal. Crimp edges as desired; I’m not too fussy about this part, mine aways end up with a rustic homemade look – I’m ok with that, in fact, I like it – it tastes just as lovely as one with perfectly crimped edges. Bake in 375 degree oven for 50-60 minutes. To prevent overbrowning, loosely cover edge of pie for the first 25 minutes, then remove foil for the final 25-30 minutes. Bake until top is golden. The recipe calls for the pie to cool completely before serving, but I like mine a bit warm…serve as you wish. Top with fresh cream or vanilla ice cream. Here’s a few more ideas for fresh apples – apple cake, apples with peanut butter, apple crisp and caramel apples. 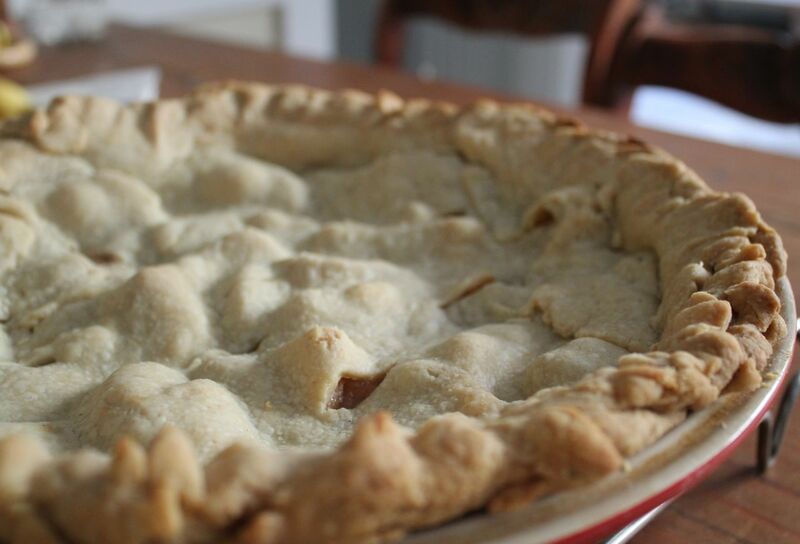 This entry was posted in baking recipes, everyday life, home, simplicity and tagged apple pie, baking recipes, food, photography, pie crust by ripe red berries. Bookmark the permalink. Great way to save money instead of buying the pie make it yourself. I totally agree! I love sharing ways to save money and live well…thanks for sharing. Thank you so much! 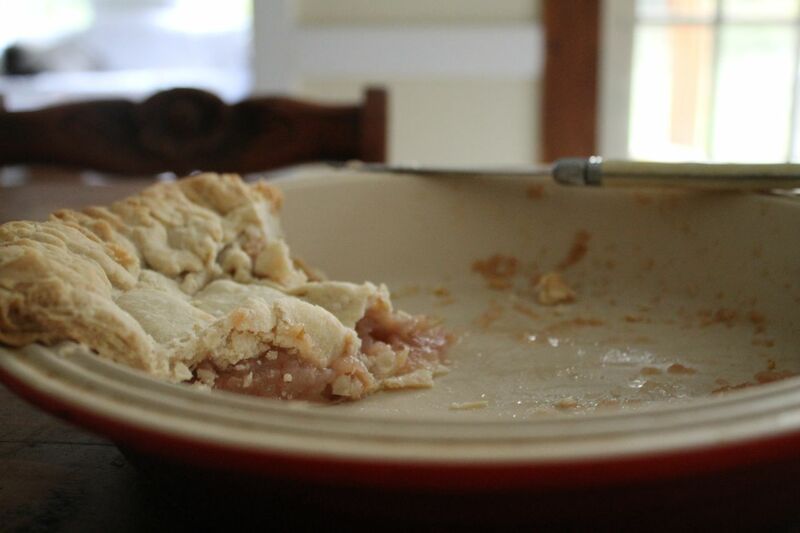 It was fun – I photographed and made the pie while my son (2 yrs. old) napped…usually he’s a part of the process too. Thanks again. Thank you! I hope you try it – it really is so incredibly delicious…:) enjoy! Of course you can! 🙂 You can’t go wrong…it’s a pie – crust, apples, spice – what’s not to like? yes, yes, yes! Thanks Mim! Pingback: It’s apple time…. | Pudbudder – It's all about fun!